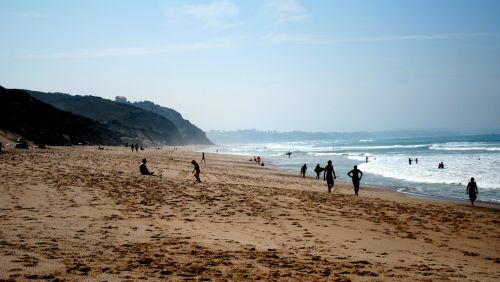 The northern beach, near the Milady beach in Biarritz, with the Ilbarritz golf-course and the castle on the heights. 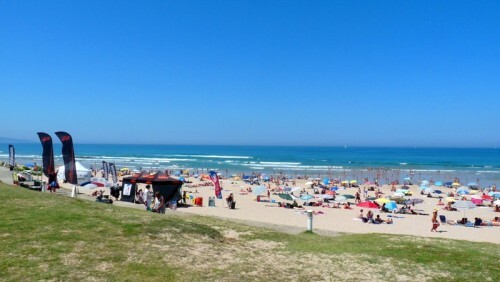 Accessible by a path between the Ilbarritz golf-course and the camping. Surf lessons by Lagoondy Surf School. At the bottom of a green cliff just above Bidart. Between Bidart centre and Uhabia Beach. On the roadside to Guethary and Saint Jean de Luz. Well known to surfers ... for the Parlementia rights, mythical wave sometimes compared to Sunset Beach in Hawaii. Green Flag: Supervised bathing no risk. 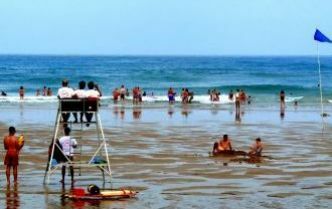 Yellow Flag: Supervised bathing but dangerous because of currents or waves. This is most usual flag on the Basque Coast. Red Flag: Bathing forbidden. Rough sea or pollution. In Bidart the coastal path begins on Erreteguia beach. A sign on the left invites you to climb the hill by the stairs. At the Chapel of St. Joseph there is a multi-lingual signpost about the surf and the waves. 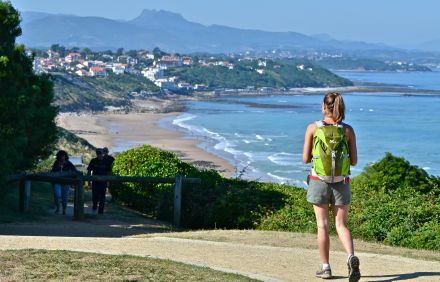 A great way to discover the Basque coast, the beaches and cliffs overlooking the mountains, which takes you all the way to Hendaye, about 25kms to the south.